There are a number of ways to find a video for your next lesson on Edpuzzle. Just click the "Content" tab to get started, and select a channel to browse from the menu on the left side of the screen. This is the default section. Here, you can search through videos you've already stored in your account. Edpuzzle's Curriculum is a curated collection of thousands of ready-to-use assignments, organized by subject and unit. It's a huge time-saver and a great jumping off point since you can always modify the questions in curriculum videos after you’ve copied them to your content. Choose “Elementary School,” “Middle School” or “High School” and look through the folders to find great lessons for your students! This is where you can view and copy lessons that other teachers at your school have used. The "My School" channel is like a video library for your school. To see content from teachers registered on Edpuzzle outside of your department, click the teacher counter (“__ teachers on Edpuzzle") and select another department. The Edpuzzle Channel will show you video lessons that other teachers have created. You can always edit them to make them more relevant to what you're teaching! Type your keywords into the search bar, and Edpuzzle will display the top results. Not finding what you're looking for? Feel free to get more specific with your search terms! Search for videos on YouTube, Khan Academy and National Geographic, among other channels. None of the videos you find on these channels will have questions added to them by other teachers, but you can add your own, of course! You don’t have to search the YouTube channel to find your favorite YouTube videos to use as Edpuzzle lessons. Just copy the URL of the YouTube video you want and paste it into the Edpuzzle or YouTube channel to start editing. 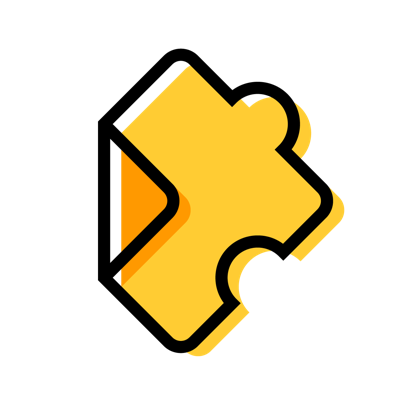 If you're browsing YouTube and come across a video you'd like to share with your students, you'll definitely want to install the Edpuzzle YouTube extension for Google Chrome so that you can quickly and easily import the video directly from YouTube to your Edpuzzle library. Need to know what to do next? Check out our article on what to do once you've found your video.